Laksh International School is a furtistic school which follows international norms, and is located at Haripur Nayak, Kamaluaganja Road, Kusumkhera, Haldwani. It was established in 2010 and is owned and run by 'Rampal Sharma Society'. 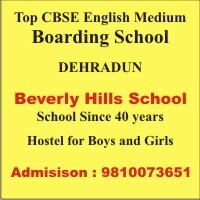 Laksh International School is affiliated to Central Board of Secondary Education (CBSE), New Delhi, and is recognized by the Uttarakhand State Governemnt.